Decorative Venetian mask for sale: the antique bautino. This Venetian mask is made from real cartapesta entirely by hand here in our Venice workshop. 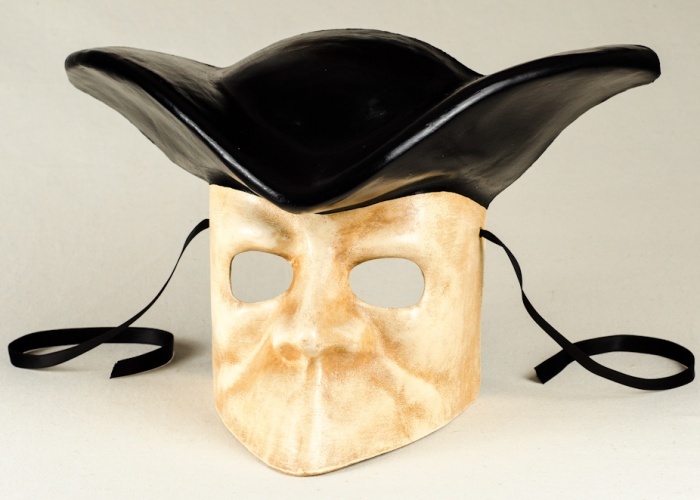 The antique bautino mask was used in the famous film Eyes Wide Shut by Stanley Kubrick.